As most of solid timber flooring manufacturers today supply UV coating as the finish of wood floor board, while for common consumers they have no awareness of what the UV coating compositios are and what's the bennifit or advantages to use this type paintings,we would like to explain to our customers why UV coating. 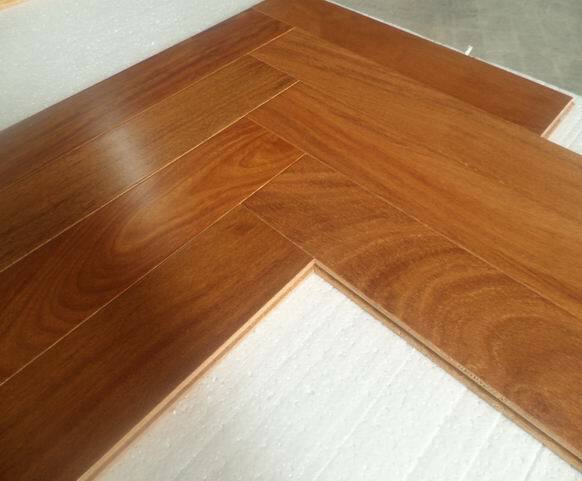 In the past few years,the chemical compositions of UV coating applied on wood flooring surface has been improved again and again in order to raise the durability and resistance but not to reduce the original beauty in color and grains of real wood.To evaluate the quality of such coating, abrasion resistance,hardness and chemical resistance are taken as standards to measure. The overall compositions of the UV coating comprise mainly four types of component: fillers,primer,base coating &top coating. Primer in the UV coating compositions is either water based or solvent based which fuctions as adhision to solid timber materials. Fillers are usually transparent trival particles suspended in the primer solvent. 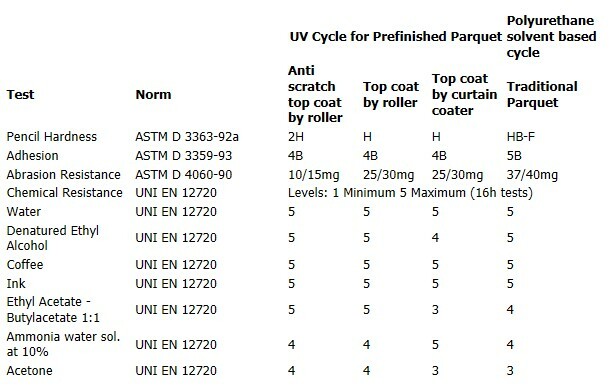 Base coating functions mainly as high abrasion resistance for timber surface. Top coat is the most important layer for paiting surface which decides the hardness,chemical resitance and gloss of the final layer.The toplayer is also applied by laser roller.Qualified solid timber floor board surface will be applied 4 time of such coat by laser rollers.